On all the latest smartphones of Samsung Galaxy and Note series, you get 15GB of free cloud storage space where you can save all your pictures and data. 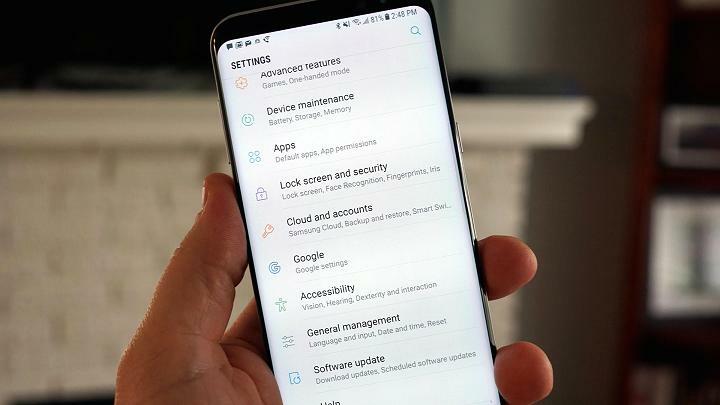 All the users of Samsung Galaxy S7, S8, S9, S10, Note 8 and Note 9 can signup for Samsung cloud and get free cloud storage to backup all their data on the cloud. Saving data on the cloud is everyone’s need in the modern world. Even if you somehow lose your phone or its stolen, you can still get back all your data present in the Samsung cloud. In this guide, we will talk about how to access Samsung cloud pictures on PC running on Windows. You will not find any website that lets you access all the data present in your Samsung cloud. Even if your phone is stolen, you can use this guide to access pictures present in the Samsung cloud via laptop or computer. Samsung stands as the number one company to manufacture smartphones running on the Android operating system. Since the advent of smartphones, there is just Apple and Samsung on the top two positions in the smartphone world. Samsung smartphones are known for their quality hardware and stylish design. To stand next to its competitors in every aspect of technology, just like iCloud of Apple and Google Photos of Android. Samsung now gives its users free cloud storage that can be synced on all Samsung devices including PC. Initially, you get only 15GB of storage space to upload all your content, including pictures, videos, and contacts. You can buy additional storage space by spending a small amount of money. It was quite a headache trying to find a way to access Samsung cloud pictures on the laptop. There is no proper channel to view data present on the Samsung cloud unless you have a Samsung smartphone. What if you lost your phone or you sold your Galaxy device and you no longer use Samsung, there should be a way to access Samsung Cloud pictures on your other devices. Unfortunately, there isn’t any official website to access Samsung cloud data, you can only access it on PC via Windows Store App that is developed by Samsung for its users. So if you are using MAC, chances are you cannot access Samsung cloud pictures on MAC. Update: Now you can access contents of your Samsung Account on PC and Mac using the official website. Samsung cloud has different names on different network carriers. In the USA, it appears as Galaxy cloud. In some devices, it is called Samsung Backup and Restore or Personal Data Management. Different carriers have different names of Samsung cloud and they have personalized features. Moreover, you can also backup all your data on your Samsung cloud before factory resetting your phone. In this way, all the pictures, videos, contacts, app data, notes, wifi passwords are saved and when you set it up after the hard reset, you can import all your data back to your phone or you can access cloud pictures on PC running on Windows using the guide below. Once you have downloaded and installed Samsung Gallery on your PC. Open it. In the Settings Menu, select Samsung Cloud. Here, log in using your Samsung account details that you used on your Samsung Galaxy phone. Once you are logged in. All the pictures and videos from your Galaxy phone will be synced with your PC. It may take some time depending on internet connection. Once done, you will see all your pictures and videos present in the Samsung Cloud on your Laptop or Computer. This solution is not mentioned anywhere by the Samsung, but it works for everyone you just need to have a Windows PC. Well I think, there should be a website to access the cloud contents just like Google Photos and iCloud. Any Possible way to Access Samsung Cloud Data on Mac? If you are MAC user and you own a Samsung Galaxy device, it can be really frustrating not being able to access Samsung cloud on MAC running on OSX. Cloud Storage is a need for today for every device that has internet access. Data is so vital in this era that you cannot afford to lose any. It also saves all the struggle to copy pictures, videos, and contacts to a new device. Just log in to your new device with the same Samsung account credentials and all your data will be imported into the new device. I hope this guide helped you to access Samsung cloud pictures on the PC. If you have any questions or queries regarding the guide above, feel free to ask me in the comments. If you know any other method that can be used to access data present on Samsung Cloud on Mac or Windows PC, do let me know in the comments.